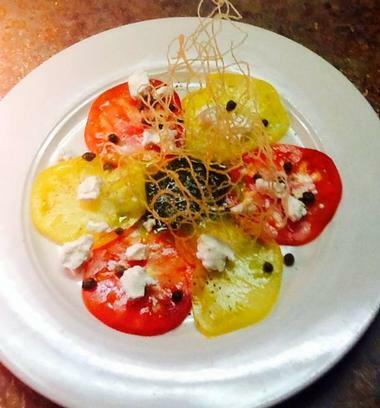 Foodies traveling to Santa Fe are in for a treat. The city offers a diverse selection of restaurants serving culinary creations that showcase dishes from around the world. Whether you are in the mood for New Mexican flavors, American, Italian, Japanese or Greek cuisine, there is plenty to choose from. 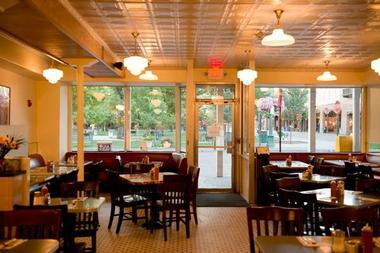 There are also delicious burgers, pizza and many excellent breakfast spots all around town. 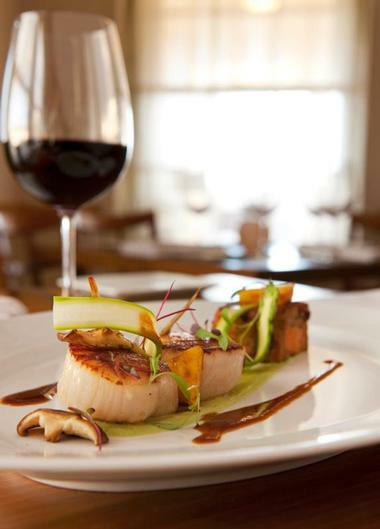 Here is the list of the best restaurants in Santa Fe, New Mexico. 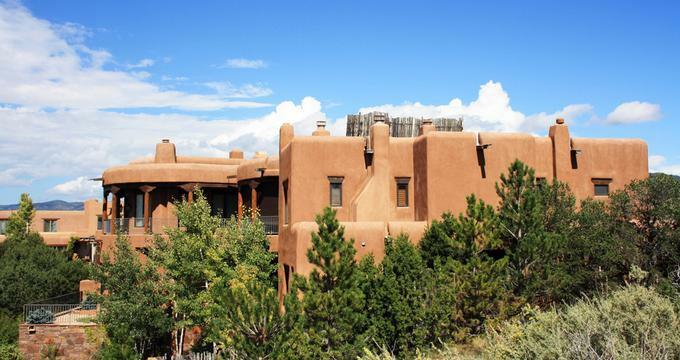 While you could spend your vacation in Santa Fe just exploring its culinary delights, there is plenty to see and do as well: 21 Best Things to Do in Santa Fe and 15 Beautiful Romantic Santa Fe Hotels & Inns. 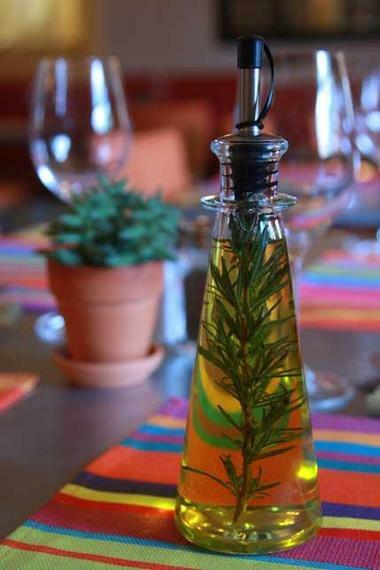 Osteria D'Assisi is an award-winning Italian restaurant that brings a slice of Italy to Santa Fe. Owned by Lino Pertusini, this elegant eatery is known for its inspiring lunch and dinner menu, which showcases the best of Italy in a variety of dishes, as well as handcrafted cocktails and a superb wine list. Dishes are created using time-honored traditions and seasonal ingredients from local farms and producers, while the full-service bar and cocktail lounge draws crowds during Happy Hour for signature cocktails, rare Italian vintages, and an array of craft beers and brews. 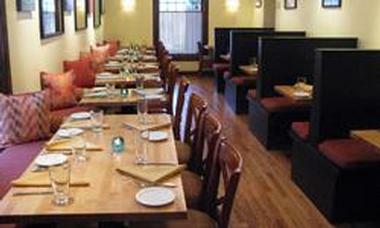 Osteria D'Assisi is one of the best restaurants in Santa Fe. Occupying nine quiet rooms behind Prince Patio on Palace Avenue, The Shed has been a dining institution for over 50 years. 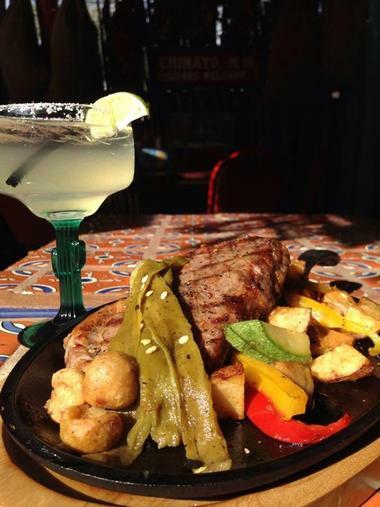 The family-owned and operated restaurant serves traditional Northern New Mexican cuisine with Pueblo, Spanish, and Mexican influences in a warm, welcoming, and convivial atmosphere. World-renowned for its red chile enchiladas, the menu also features soups and salads, blue corn specialties such as tacos and enchiladas, and burritos, while an extensive drinks menu presents diners with an array of tequilas, margaritas, and wines. Look for the brightly colored sign to lead you into this hidden gem. Joseph's of Santa Fe is a stylish gastropub that serves a contemporary New Mexican-inspired dinner menu and an excellent wine list. Award-winning Chef Joseph Wrede sends diners on a culinary journey with his unique take on both traditional and modern cuisine; he considers the restaurant as a ‘theater’ where guests can enjoy and appreciate his art. The interiors of the restaurant reflect this concept, with custom painted walls and eclectic collections of antique copper, frescos, and sculptures. Perfectly set tables serve as blank canvases for dishes such as local lamb tartare, seabass ceviche, and steak au poivre. The impressive wine list and cocktail menu provide guests with the perfect accompaniment for the sublime menu. 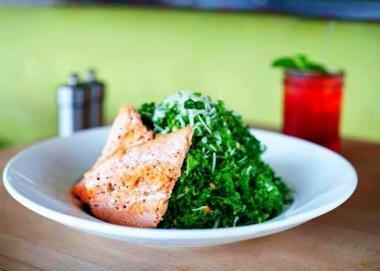 Vinaigrette is a stylish bistro and salad bar that serves fresh, organic entrée salads made from locally farmed produce; the restaurant’s homegrown organic ingredients are sourced from a local farm just a few hours away. Vinaigrette has a salad-centric menu, but it also serves delicious soups and sides, hearty homemade sandwiches, and mouthwatering desserts, along with several dinner specialties and seasonal fare. The restaurant has a casual and inviting atmosphere with an enclosed back patio for intimate dining in the shade of an old apricot tree. Take-out and catering are available, as well as the services of the eatery’s famous Chartreuse food truck, Mini Vinny. Located at the Ten Thousand Waves Resort & Spa in Santa Fe, izanami serves exquisite Japanese fare in an elegant farmhouse setting inspired by the Japanese ‘izakaya’ – a small and intimate place for friends to share food. Santa Fe’s oldest restaurant, Plaza Café is a historic restaurant that has been serving delicious home-cooked meals since 1905. The inviting American diner-style eatery serves a diverse, multi-cultural menu of fresh ingredients for breakfast, lunch, and dinner seven days a week, from breakfast burritos and tortilla soup to green chile meatloaf, roast turkey, and fried chicken steak. The menu also has a variety of New Mexican favorites and even Greek specialties such as moussaka and gyros. It shouldn’t come as a surprise, that they also have a tempting selection of sweet treats and desserts. 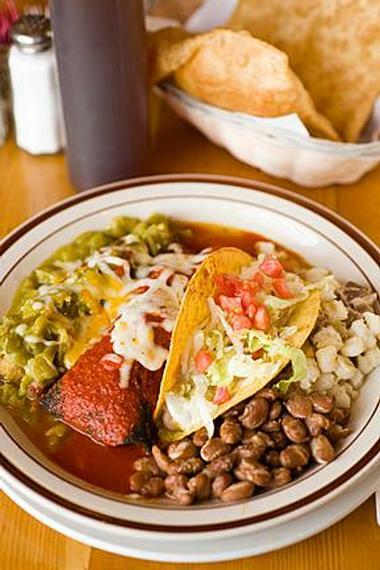 The Plaza Café Southside is a well-known Santa Fe eatery that serves an extensive and innovative menu of New Mexican and Greek home-style cuisine. An offspring of the legendary Plaza Café, a Santa Fe institution since 1947 owned by the Razatos family, the Plaza Café Southside serves breakfast, lunch, and dinner and has an in-house bakery known for its fresh bread and an array of baked and sweet treats. Enjoy a drink during Happy Hour at the Plaza Café Southside Bar, where you can choose from a selection of signature cocktails, handcrafted margaritas, beers, and wines. Arroyo Vino is a restaurant and wine shop in the heart of one of Santa Fe’s most popular neighborhoods. 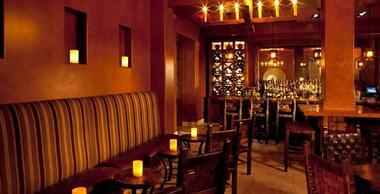 It has a seasonal menu of contemporary American fare and features an impressive wine program of over 800 bottles. The restaurant’s spacious dining room is casual and comfortable and sits adjacent to the wine shop, where rows of bottles create a cozy ambiance. The menu is small and simple, with starters such as country pate and duck larb, followed by entrées of pork tenderloin, rack of lamb and duo of pheasant. Dishes are paired with excellent selections from the wine shop stock, which include familiar labels as well as rare, hard-to-find vintages. The Ranch House is an inviting, family-friendly bar and grill with a range of healthy New Mexican and all-American fare served in a warm and cozy atmosphere. Owned by Josh Baum and his wife, the Ranch House lunch and dinner menus reflect Josh’s passion for smoked meats and barbecue, for which the restaurant is famous. However, it also offers a selection of other dishes such as soups, salads, sandwiches, burgers, burritos, and quesadillas. Bar bites can be ordered during Happy Hour, where a range of signature cocktails, wines, and beers can be enjoyed in a vibrant ambiance. Located at the Hotel St. Francis, Secreto Lounge is a stylish craft cocktail bar specializing in award-winning “Garden-To-Glass” and vintage cocktails, hand-selected wines, and a variety of local and imported craft brews. The recipes for their signature cocktails have been perfected over time, and use local fruits, vegetables, and herbs mixed with local spirits and bitters. 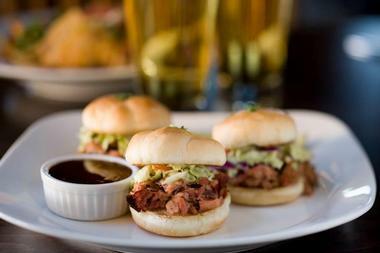 Fire and Hops is an upscale gastropub that serves high-quality food and beverages at neighborhood eatery prices. Owned by Joel Coleman and Josh Johns, this stylish bar is guided by the four principles of ‘local,’ ‘sustainable,’ ‘quality,’ and ‘friendly,’ which is clearly evident from their creative farm-to-table menu and consistently packed tables. The restaurant serves dinner seven nights a week and a special farmer's market lunch every Saturday and Sunday. All meals with local ingredients, and the menu has a variety of small plates, appetizers, entrées, and desserts to enjoy. Owned by Chef Martin Rios, and his wife Jennifer, Restaurant Martin is a contemporary restaurant that features award-winning progressive American cuisine in a casual yet sophisticated environment. The eatery is an embodiment of a dream to create the perfect balance between refined and comfortable for diners of Santa Fe, and the family-owned restaurant succeeds in doing just that. Pop in for a brunch of salmon eggs benedict or brioche French toast or enjoy salads, soups, and gourmet sandwiches for lunch. In the evenings, you can really dine in style and feast on tempura oysters, roasted duck, or brined pork tenderloin. Santa Fe’s Tabla de los Santos Restaurante is serving up some of the most delicious contemporary American cuisine in town. All dishes are farm-to-table and made with the freshest, locally sourced ingredients (a good amount of which are organic). Stop in and try their award-winning Poutine, the Cedar Plank Roasted Organic Salmon, or the Stuffed Sopaipilla while relaxing in the elegant ambiance of a restaurant rich in history. Executive Chef, owner, and seasoned restaurateur Clay Bordan, took over the restaurant in 2013. Today he brings a creative and artistic flair to your table. Tabla de los Santos is located inside Santa Fe’s oldest historic hotel, the Hotel St. Francis, nestled in the heart of downtown. 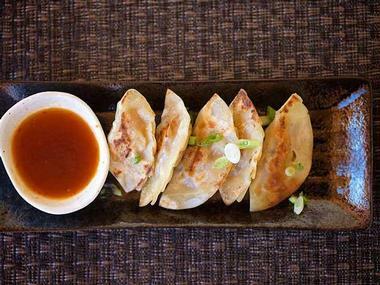 Raaga serves Northern Indian cuisine with a hint of the Southwest. Sample tasty dishes, some of which are the Basil Paneer Tikka, Mutter Methi Malai, or the Chicken Vindaloo, the Chef favorite. 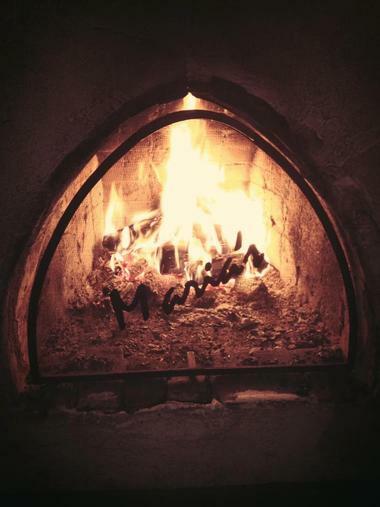 Raaga’s menu also offers numerous vegan and vegetarian options. 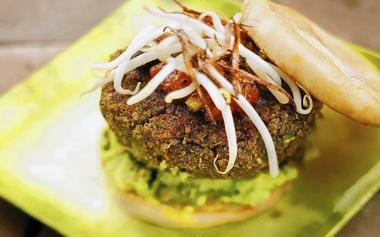 Bombay-born Executive Chef and owner Pramod “Paddy” Rawal opened the restaurant in 2011. He also owns Mumbai restaurant in East Lansing, Michigan. 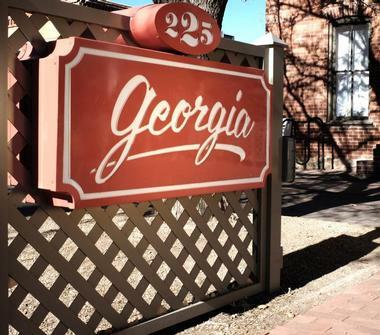 Raaga is located on Agua Fria Street in historic downtown Santa Fe, not far from the Georgia O’Keefe Museum and the Loretto Chapel. Café Pasqual’s blends culinary traditions from New Mexico, Old Mexico, the Mediterranean, and Asia using only the freshest ingredients that are also seasonal, organic, locally sourced, and naturally grown. Treat your taste buds to phenomenal dishes such as the Grilled Green Chile Cheese Bison Burger or the house-made tamales! Founder and Chef Katharine Kagel honed her culinary skills and techniques in Japan and Hawaii before bringing her warm heart and passion for feeding people to Santa Fe and opening the café in 1978. Enjoy the hand-selected art (all from local artists) while you dine in Café Pasqual’s pueblo-style adobe, located in the heart of downtown Santa Fe on Don Gaspar. Dine in elegance at Georgia Santa Fe, a new restaurant providing diners with contemporary American cuisine in a warm, inspiring atmosphere. Start dinner off with the delicious Quinoa Croquettes before moving onto tasty entrees like the Fresh Parppadelle Pasta or the Pan-Seared Duck Breast. Owners Lloyd Abrams (restaurateur and successful businessman) and his wife Janet Salk opened the restaurant in 2014; they are also partners in Canyon Road’s well-known Geronimo Restaurant. Georgia Santa Fe is situated in a historically meaningful building (it is a former Army Officers’ quarters from the 19th century) on Johnson Street, right next door to the Georgia O’Keefe Museum. Dine in elegance at the exquisite Georgia Santa Fe, a new restaurant providing diners with contemporary American cuisine in a warm, inspiring atmosphere. Start dinner off with the delicious Quinoa Croquettes before moving onto tasty entrees like the Fresh Parppadelle Pasta or the Pan-Seared Duck Breast. Atrisco Café & Bar offers a rich menu of Northern New Mexican cuisine made from fresh, locally-grown ingredients whenever possible. The chefs find innovative ways to incorporate green chilies into nearly everything on the menu, and you won’t soon forget the flavorful dishes they create. Your mouth will water if you just think about the Roast Leg of Lamb Burrito, the Central Café Meatloaf, or the Southwestern Chicken Salad. Owner George Gundrey comes from a long line of restaurateurs and opened Atrisco in 2009, naming it after the Albuquerque neighborhood he grew up in. 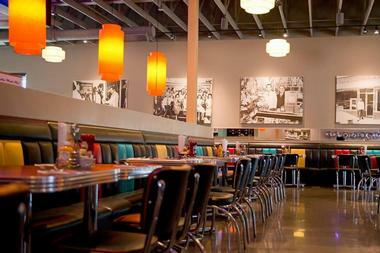 You’ll find this friendly neighborhood restaurant at Santa Fe’s DeVargas Center, at the main entrance to the mall. Maria’s New Mexican Kitchen began as a small take-out kitchen that served traditional, Northern New Mexican cuisine over 60 years ago. 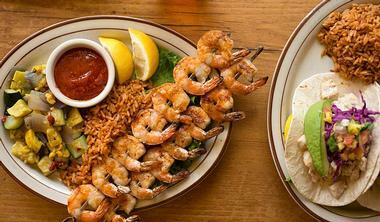 Since then, it has grown into one of Sante Fe’s favorite go-to places for delicious and authentic homemade fare. Established by Maria and Gilbert Lopez, who wanted to introduce local diners to authentic, home-style New Mexican food, the famous restaurant has lunch and dinner menus that feature red and green chile, blue corn specialties such as fajitas, tacos, and burritos, and made-to-order margaritas, using only 100% agave tequila. Located on the top floor of the Santa Fe Arcade overlooking Water Street, Rooftop Pizzeria is a contemporary dining space akin to those found in San Francisco or New York. The stylish eatery serves creative gourmet pizzas with a variety of innovative toppings, a delicious selection of antipasti and fresh salads, and handmade lasagna and pasta dishes just the way ‘Mama’ made them. The authentic Italian fare is accompanied by a wine list that features over 20 wines served by the glass, as well as some of New Mexico’s best microbrews and beers by the bottle. A lovely outdoor patio offers picturesque views of the town below and is the perfect place to catch the spectacular Santa Fe sunset over cocktails or a glass of wine.